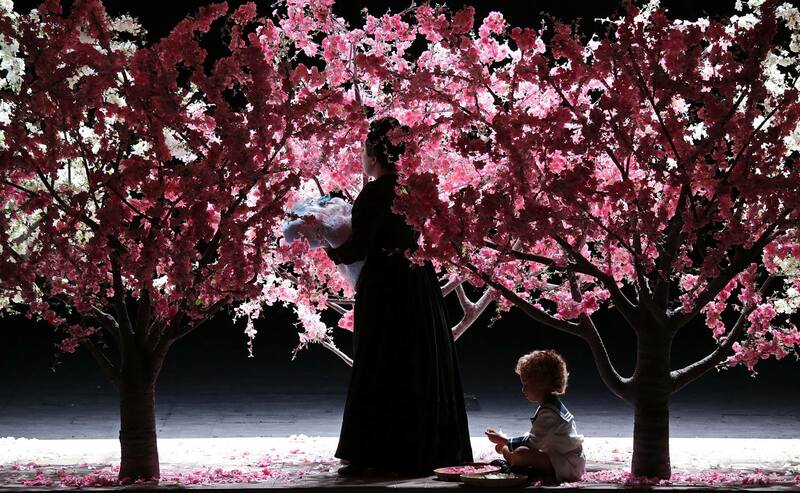 The opening of the new season in Teatro alla Scala is the event of utmost importance that stretches beyond Italian borders both in societal and cultural aspects. 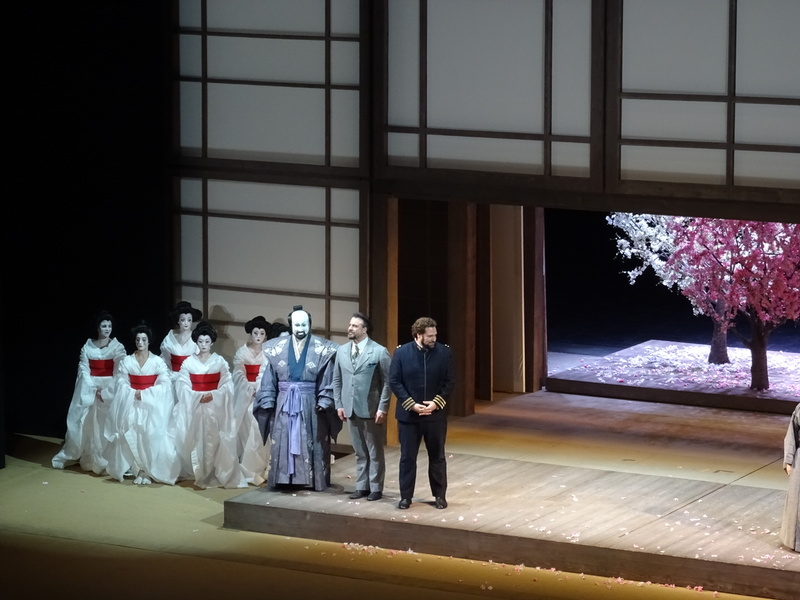 This year, the third part of the project launched by Maestro Chailly to reabilitate originally composed versions of Puccini operas – now Madama Butterfly (1904), gained unprecedented publicity among opera afficionados and industry press. The consequence was extremely high price for common people to attend the prima – you either had to be here on press ticket or on social prominences list. The remaining run of performanes has been sold out some time before prima, as usually La Scala opening run is. One of the main contributors to the success was also the team led by latvian director and designer Alvis Hermanis supported by reliable peers on sets and costumes, as well as choreography. 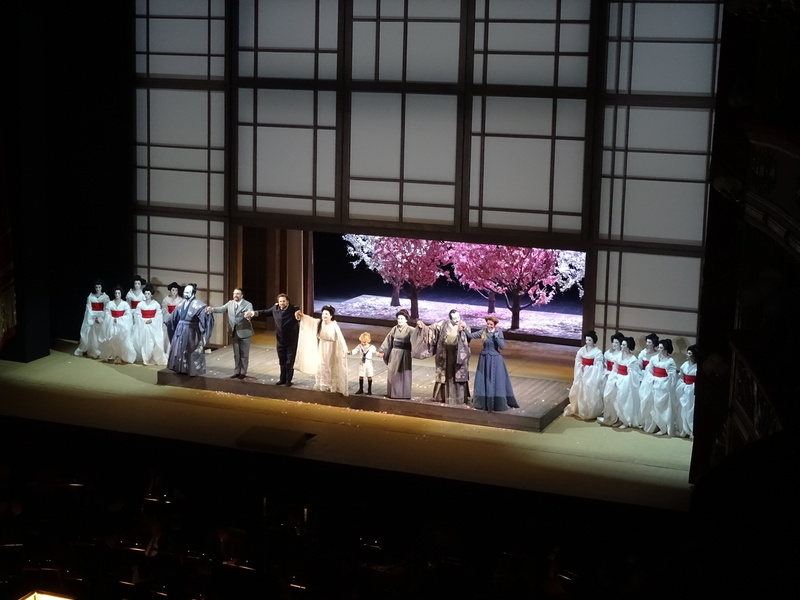 Over the years of being involved with opera direction Hermanis has developed his signature style, mostly based on striking visuals, thus forcing the audience to absorb and complement proposed pictures. The effect is achieved by masterful usage of videoprojections and filigree hand paintings by Kristīne Jurjāne, who usually extends her reach also into wardrobes. Her signature style is based on scrupulous research and precision in details, for Madame Butterfly detailed studies of period drawings and paintings were carried out, and even minor props for extras and chorus like the fans in off-white / light ivory were procured in Japan to ensure authenticity. It has been said that success lies in details, and visual impression of the production strongly supports the statement. 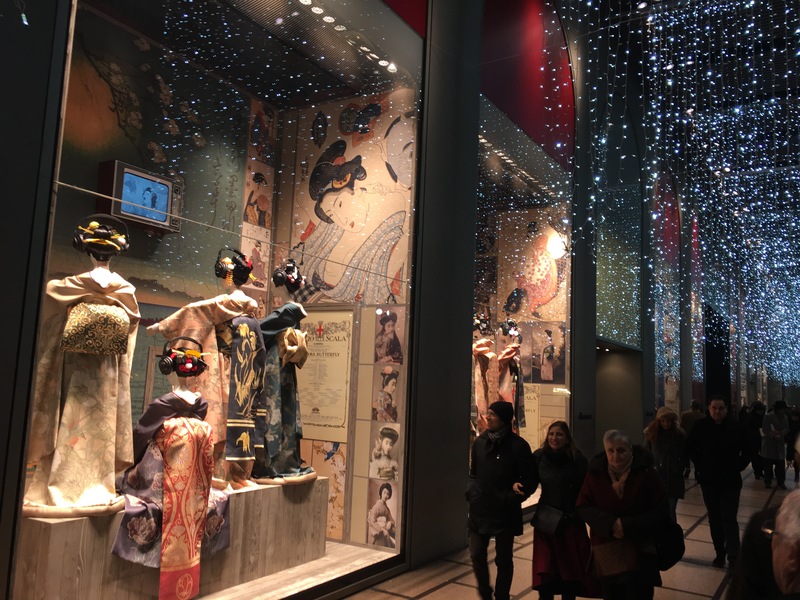 As a part of publicity campaign Alvis Hermanis, Kristīne Jurjāne and Leila Fteita were invited to design the upmarket iconic department store La Rinascente windows as a teaser. The snapshot of still works produced by the team are here for your admiration: all front windows are occupied by traditionally early 20th century japanese style dressed, coiffed and made- up lady mannequins with headphones stuck on their heads in full absorption watching demonstration on the black and white old fashioned TV sets of the perfect way to escape dishonorement: properly slashed jugular vein will guarantee that your name will be cleared of further embarrassment of your family and relatives. The idea works perfectly and convincingly; people are watching and admiring the installations, many are photographing and making selfies. There must be just some accidental people who are unaware of the season opening hit at La Scala. This is also one of the hottest toopics for discussion among milanese: the prima was live streamed on the main TV channel, and almost everyone I met and had a chat with, had seen it and formed their opinion. All were impressed and the verdict sounded briefly: strikingly beautiful. The staging certainly is conservatively beautiful, Kristīne Jurjāne has painted the details all summer long to come to that pastel colored traditional postcard look of Japan. Even more, falling sakura blossoms and serenity of the pink colored garden is sweetly sentimental. 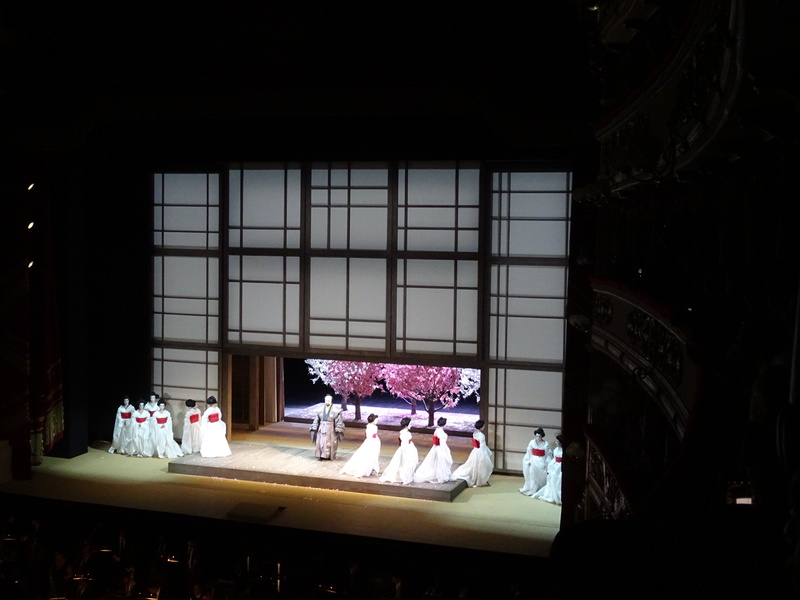 Moving partitions resembling traditional japanese paper doors or walls were used for dual purpose – as a background for picturesque video projections and to close and open spaces to provide second and third level entrances or acting platform to the singers, which worked quite well. At some moments too frequent raising and lowering of partitions were a bit distracting, as were western furniture movements in the beginnging of the second act. On the other hand, smart use of dancers dressed in preciously painted silk kimonos during intermezzos strengthened visual messaging as complementary animated pictures. 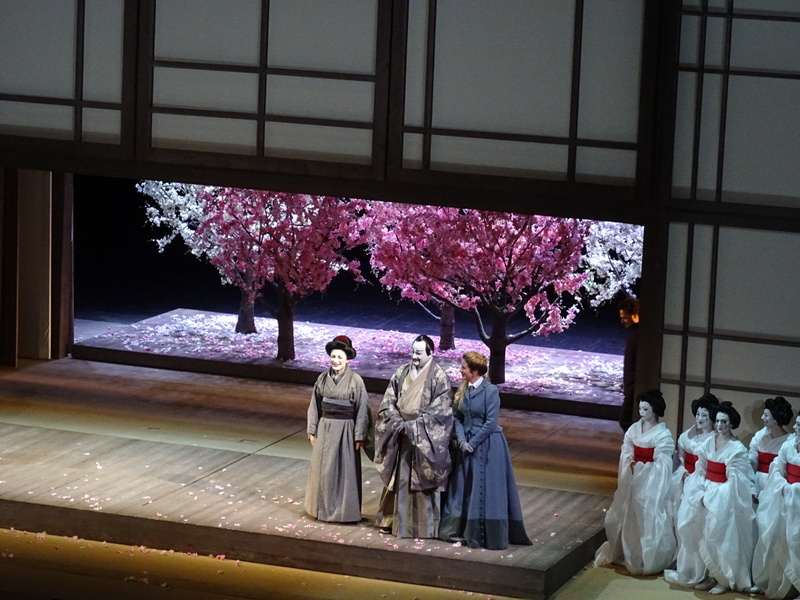 Cherry trees blossoming and Flower song were a few of the most memorable moments of the evening, emphasizing contrast between this unwordly beauty and unavoidably approaching tragic finale. Lingering question from very practical perspective on meaning and reason to collect the fallen sakura blossoms still in the air, need to do some research myself to clarify the episode and possibly lost message here. 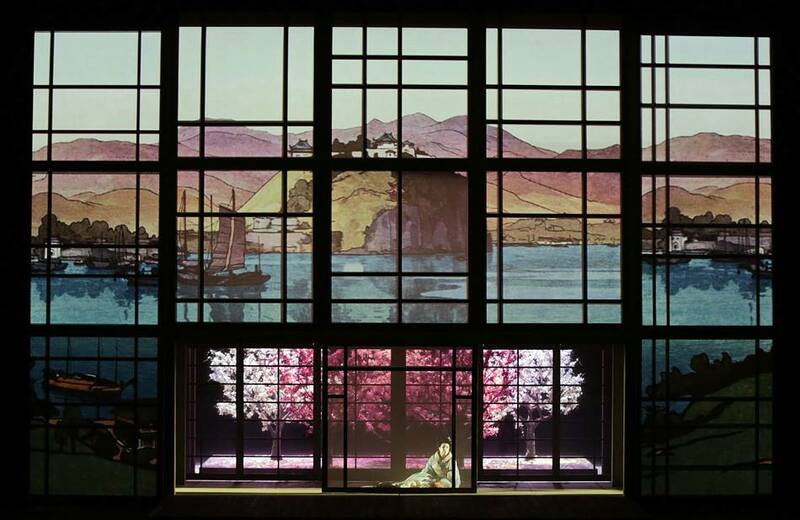 A lot of words dedicated to design part of the staging – and I should say it is the most valuable part of this production besides impeccable musical performance of La Scala orchestra masterfully led by Riccardo Chailly. Hermanis has created very traditional, conservative production, and if you are trying to see certain innovation, there is not much besides design elements. From time to time I have been questioning myself, which previously seen production this scene reminds me, I believe it was also partially overarching intention – to restore the opera as close as possible to the original. Those, who are seeking for disruptive approach frequently used by Hermanis might be left disappointed. The score by Puccini itself determines confrontation of civilizations and values, especially through roughness of Pinkerton, decisive role of Kate, cowardly Sharpless and obviously selfishly ravenous family of Cio-Cio-san, selling their daughter for immediate gain. Stage direction of the opera is a peculiar art, since not all singers are naturally born stage animals with all-encompassing charisma. Most of them prefer to concentrate on the main component – beauty of line delivered and painting emotions with the voice – and human voice undoubtfully is one of the finest and most delicate instruments available. 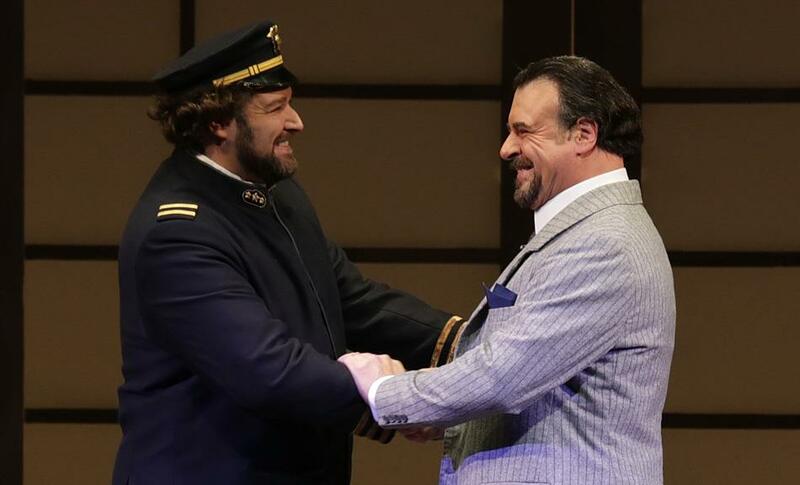 On the other hand, opera as a genre still belongs to theatre, where drama or comedy requires interaction of the protagonists to represent the intent of the authors fully. Alvis Hermanis traditionally lets singers to figure out their acting part themselves, which sometimes produce questionable stage direction outcome. Positive change noticed was less static delivery by the main protagonists, creating more dramatic engagement and subsequent effect on the audience. 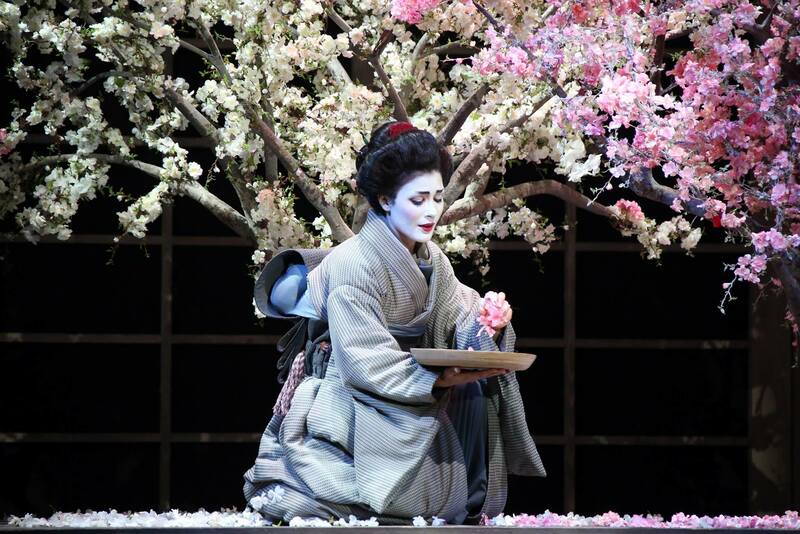 The main protagonist – Madama Butterfly originally was cast by uruguayan soprano Maria Jose Siri. Just a day before the performance the announcement on twitter of her being indisposed came, and replacement was announced shortly – an armenian born Liana Aleksanyan, who mostly performs in second tier german houses. To positive surprise her vocal delivery was impeccable, and dramatically she was very convincing in the role, despite nonexistant rehearsal period. Taking into account some score differences between traditional, revised and original version, her performance was remarkable and was highly appreciated by the audience of the night. Aleksanyan created a few momerable moments- her refusal to prince Yamadori, being in delusional state with beliefs of bright future with returning husband, and preciously carried out suicide scene. 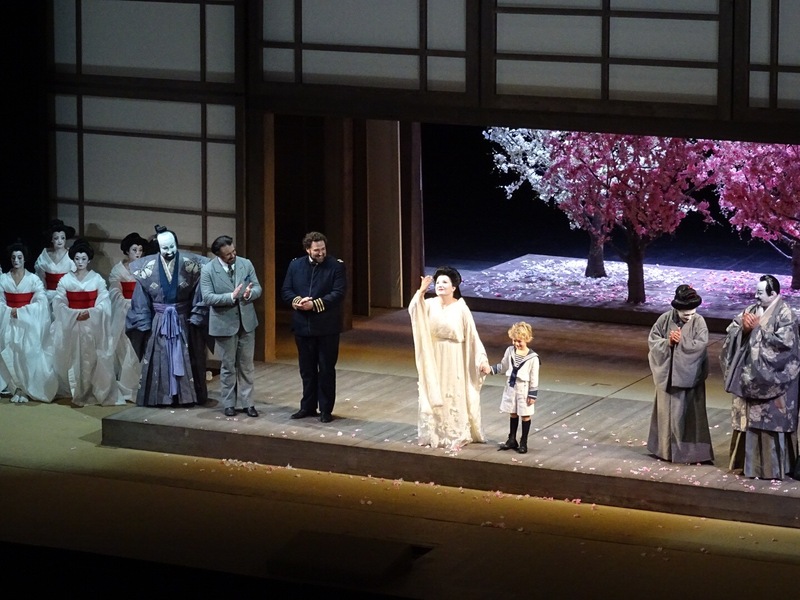 Her being surrounded by girls with white powdered faces, smeared with tears of blood and matching red belts over white kimonos, and the little blond boy kneeling next to futon, blindfolded, not to see his mothers dishonor, has created perfect setting for dramatically delivered finale and was heartbreakingly shattering. The original version of the opera portrays even more brutal and unpleasant Pinkerton, and the role lacks one of the signature arias which was added in later version. Bryan Hymel was cast in the role of arrogant, lustful conqueror, somehow his voice sounded small and strained in Act 1, while opened for Act 2 and finale. His peak delivery came for the final phrase, when running in the house and finding Butterfly dead, the cry Butterfly froze the spine of the audience. An additional emotional touch is achieved through untying blindfold and seeing his son for the first time. Carlos Alvarez as Sharpless created multifaceted character – emphatical towards Cio-Cio-san and her destiny as well as professionally carrying out his official duty – he even could not vocalise the grand betrayal by Pinkerton to delusional Butterfly. His warm baritone is well suited for particular role. 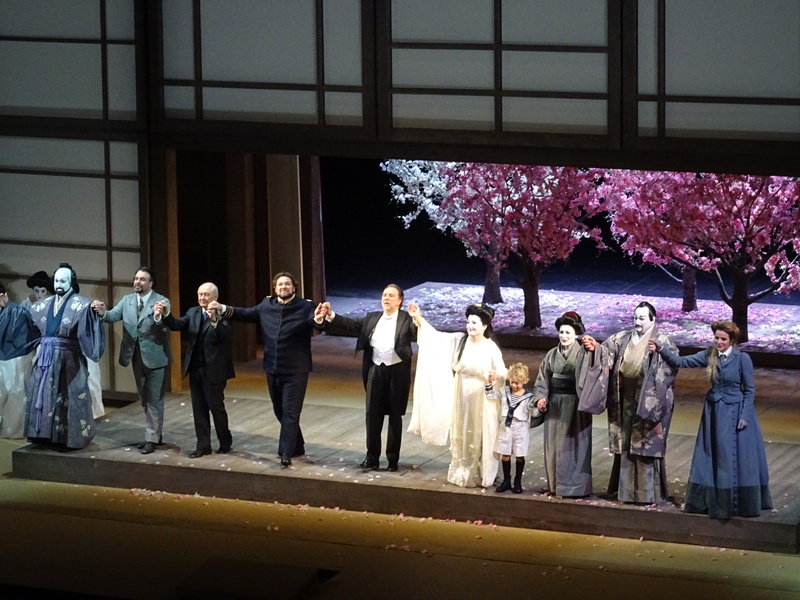 Annalisa Stroppa as Suzuki was excellent both vocally and dramatically, the role in this original version is comparatively large, and was well sung and played. Another noticeable difference is extended role of Kate, permitting her to become actual protagonist of the opera rather than wordless submissive ghost of american wife. Nicole Brandolino in the role of Kate Pinkerton portrays her as modern western woman with the best intent in the future wellbeing of the child. Brandolino has rich mezzo which extremely well blends into ensemble with Suzuki and Butterfly. 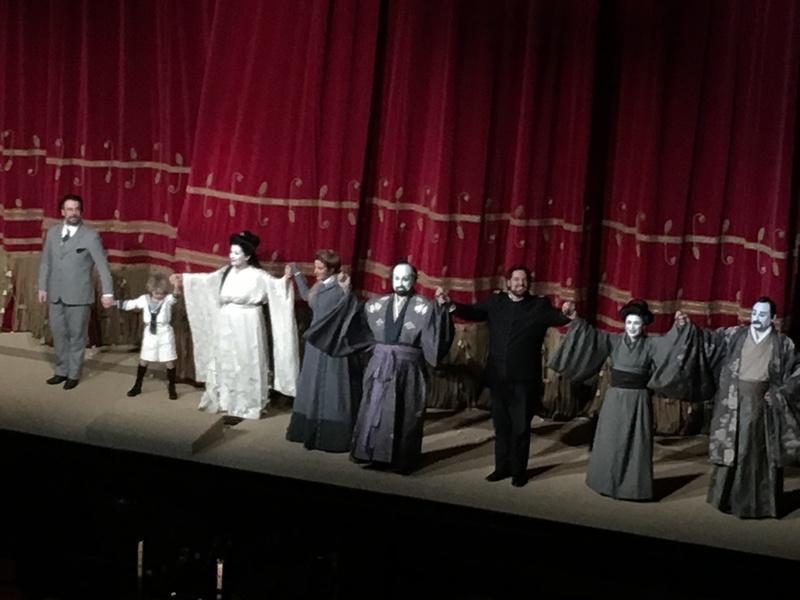 As the conclusion – the value of this traditional, beautiful production is enhanced by the orchestra and Maestro Riccardo Chailly, who will become the musical director of La Scala officially next year. In combination with Pereirra, this opera house will unquestionably become undisputed number one in Europe, and will continue opera trendsetting journey. Start saving for next December 7th prima – or just a performance of the opening run – I guarantee you will not be disappointed! Next Post: Atonement for La Sonnambula: Florez, Pisaroni, Fally and Nazarova in Vienna Staatsoper, January 13th, 2017.